Rebels in Yemen: What are They Fighting For? Earlier this evening, when searching for a topic to write about, I came across the recent events in the Arabian Peninsula. For anyone unaware of what’s happened, an insurrection has been carried out in Yemen by rebels known as the Houthis, sending a shockwave through the nation. The Houthis are a Shia-orientated rebel organisation in, devoted to an area of Shia Islam known as Zaidism. Originating in the north of the country, they have been active, combatting Al-Qaida forces in the region, for years. Recently, however, they have claimed a far greater prize: as of the events on 21st January, Houthi rebels have overthrown the Yemeni government. What actually occurred is as follows: as BBC News stated, in late January ‘rebels stormed the presidential palace complex and put the president under house arrest’, despite the signing of the peace deal on the 21st September, after the rebel movement’s occupation of Sana’a, the capital. Since then, president Hadi has resigned, and plans for the creation of a new government are underway. According to the Latin Post, after the Houthi insurgency, ‘Thousands gathered in the centre of the city with placards calling for “Death to America, Death to Israel”’. The source also states that such a slogan has apparently become a Houthi trademark, and if this is the case, then it certainly gives the superficial impression of a radical and merciless band of fighters, representative of the Jacobins in France or the Bolsheviks in Russia. After some research, however, it seems to me that the reality is somewhat different. In studying the Houthis, I have found nothing which truly demonstrates an ideological or even political position. Their hatred for Zionism, Sunni Islamism and American capitalism, alogside their devotion to what appear to be necessary tasks of the moment, is evident, yet this is to say that other than their attitudes towards certain conceptual ideas and their want for immediate change, only their religious devotion is obvious. 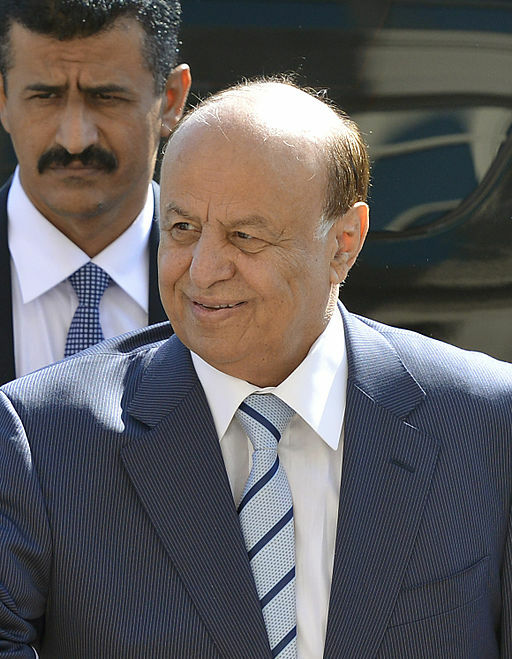 In any case, I do not believe that the Houthis, which seem to lack ideological basis or clear and specific direction, have a better claim to power than Hadi, whose intended transition to national ‘stability and security’ may be just as effective or perhaps even more so than that of the rebel movement, especially since the former has been given only three years to prove himself. This entry was posted in Current Issue and tagged Hadi, Houthis, Insurrection, Islam, Rebellion, Rebels, Shia, Yemen, Zaidism by The Anonymous Revolutionary. Bookmark the permalink.